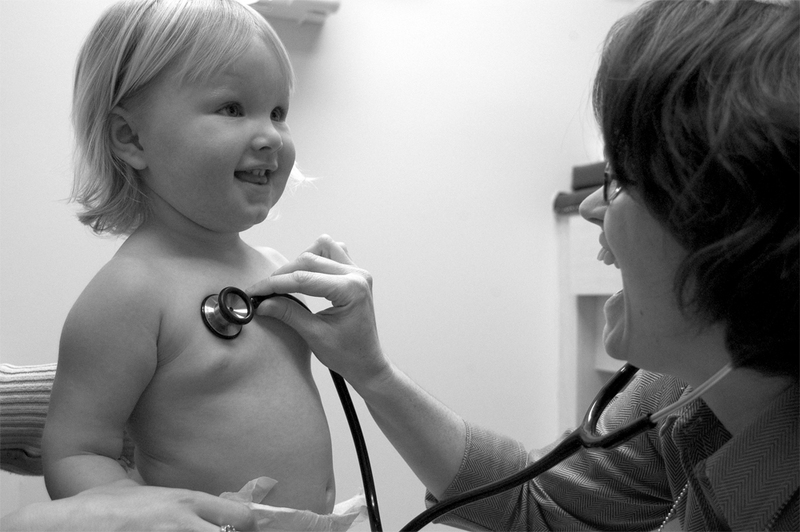 Heart murmurs in children are very common and aren’t usually cause for concern. A normal heart makes a specific sound when the heart valves close as the heart pushes blood through the body. A murmur is the sound of blood flow through the heart. Studies estimate that 75 percent of children will have a murmur at some time during their childhood. 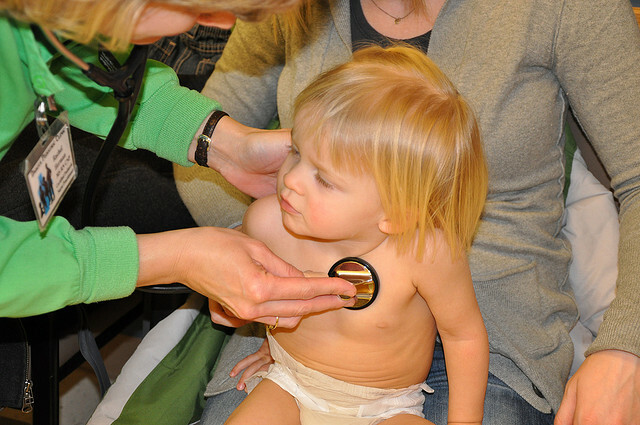 Murmurs are usually discovered during an exam with a stethoscope held at different areas on the chest. The murmur’s intensity is rated on a scale from 1 to 6 – from very soft to very loud. Doctors will note the murmur’s location and characteristics, where it occurs in the heartbeat cycle and whether it changes as your child changes position. What is an innocent murmur? An innocent, or functional, murmur is most common, especially among preschool and school-age children. These are produced by a normal, healthy heart, and they can come and go throughout childhood. They don’t pose a health threat or require treatment. Your child won’t need any long-term care or have any diet or activity restrictions. When do murmurs become a concern? Some murmurs indicate a heart abnormality. Structural, or congenital, heart defects, occur in about 1 of every 100 babies. Signs of these defects are often seen in newborns within the first few days of life. Others may not cause symptoms until later in childhood. Some congenital heart defects occur with chromosomal disorders such as Down syndrome, or they may be related to certain gene abnormalities, or exposure to chemicals including alcohol or medications during pregnancy. Types of congenital heart defects include septal defects, which occur in the walls between the upper or lower chambers of the heart, valve abnormalities, and cardiomyopathy, or heart muscle disorders. If a doctor suspects the murmur is caused by a heart problem, you will be referred to a pediatric cardiologist for further testing. These can include a chest X-ray, electrocardiogram or echocardiogram. If an underlying problem exists, a pediatric cardiologist will recommend treatment options including monitoring, medication and/or surgery. Before your appointment, note your child’s symptoms, any family history of heart murmurs or other heart problems, any medications your child is taking, and a list of questions you may have for your child’s doctor. 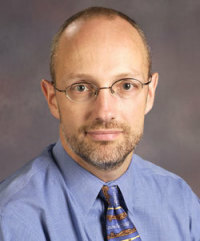 Keep in mind, however, that heart murmurs are fairly common, they are not a disease, and most turn out to be harmless. Visit our Heart Center website to find more heart-health information or to meet our patients and staff.